Shopping for glasses while on a fabulous trip to China does seem rather mundane. But if you've got the time during your holiday - or you're on an extended trip in Shanghai, then you really should make a trip to the Optical Market while in town. You'll be amazed at the great styles available and the shops can whip up a pair in a few hours. Not only that, if you've forgotten your prescription details, they can even examine your eyes for you in the shop. It's a great place to pick up prescription glasses and sunglasses for a fraction of what you are used to paying at home. The glasses market is a two-floor area within a shopping complex. The glasses market area takes up two floors and is filled with vendors selling prescription glasses and sunglasses (and frames). You can go to the market with or without a prescription. 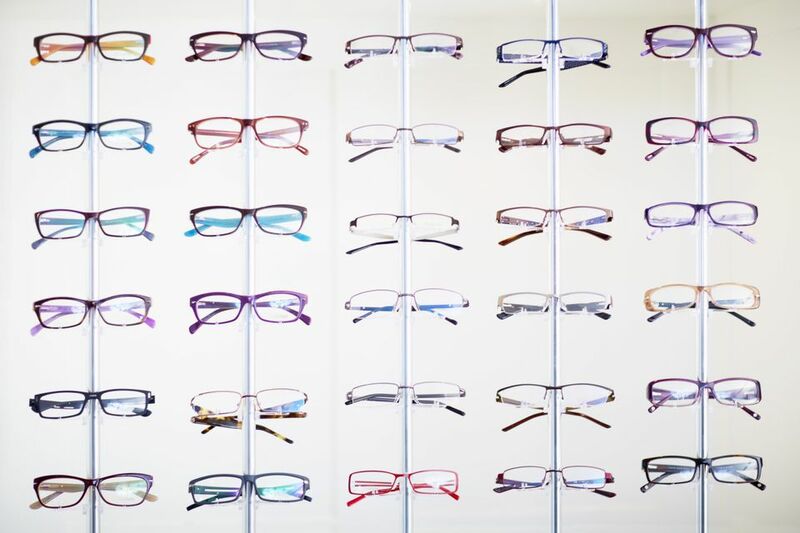 Opticians will check your eyes on site and within a day (or a week if the prescription is complex), you can pick up your new pair of glasses. The market is open daily from 10 am to 6 pm. Can I Negotiate at the Glasses Market? There's always room for a little bargaining on the listed price. Especially if you're buying more than one pair, ask for a discount. Don't be afraid to push a little. Likely you'll be offered 10% off what they've quoted you but go ahead and ask for a little more. The market is located in a shopping mall close to the Shanghai Railway Station. The address is Muling Road #188, Floors 4-5 | 穆棱路188号4－5楼. You can follow signs in English to the market. The market does cater to foreigners so you'll be able to communicate in English. Take a taxi or use Metro Line 1 - Shanghai Railway Station stop (上海火车站). The glasses market shopping mall is across the intersection from the south exit of the railway station. The market is really impressive. There are so many stalls with so many glasses to choose from - it could be a dream come true or your worst nightmare if you have trouble making choices. For less than half the price of an ill-fitting pair of US$300 plastic frames you might find in the US, you can buy two pairs of new frames with bifocal lenses that actually fit. The market is great also for prescription sunglasses. You can bargain prices down a bit, especially if you are buying more than one pair of glasses.